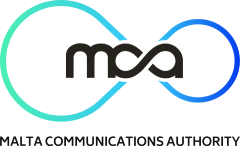 The Malta Communications Authority (MCA) is today publishing the results of its latest bulk mailer perception survey. Forty face-to-face interviews were carried out between April and June 2017 with the person responsible for handling the mail of each respective organisation. Respondents had to have used MaltaPost’s bulk mail service to send on average more than 750 addressed letters in a year to be eligible to participate. Postal markets within and beyond Europe are experiencing a decline in traditional letter mail volumes and a shift in consumer and business behaviour. The MCA carries out such surveys periodically to observe these shifts and ensure that consumers’ needs are being met. The majority of respondents were satisfied with the overall quality of the postal services provided by MaltaPost (75%). Furthermore 68% of respondents claimed to be satisfied with MaltaPost’s bulk mail service. The majority of letter mail items in the domestic postal market originate from businesses. Survey participants were asked about how they made use of the bulk mail service in terms of frequency and volumes during the 12 months preceding the survey. The majority of respondents (73%) claimed that they sent the same amount of letters in the 12 months preceding the survey, while the proportion of respondents who claimed to have sent fewer letters increased from 18% in 2014 to 20% in 2017. A general shift was observed in terms of the frequency with which bulk mail is used. In the previous survey, carried out in 2014, 25% and 33% of respondents made use of the bulk mail service on a daily and weekly basis respectively. In 2017 the difference between daily and weekly users widened, with 20% and 38% sending bulk mail every day and every week respectively. Respondents who claimed to have sent fewer letters cited email (75%), social media and online payment facilities (both 50%) as the main reasons for doing so. Indeed businesses are increasingly relying on digital solutions, such as online billing management solutions, to communicate with their customers. When asked if they were aware of the post-code finder on MaltaPost’s website 88% of respondents replied in the positive. Overall 92% of respondents claimed to write the post-code when sending letters through the bulk mail service, with the majority including the post-code in 80-100% of their mail. In the event of a 5-10% price increase the majority of respondents would consider switching to non-postal alternatives such as email (53%) and their own website (23%). 28% of respondents claimed they would have no alternative, possibly indicating physical or legal constraints. When asked about the lead-time of letters (i.e. the number of days between the posting of a letter and its delivery) the majority of respondents (65%) claimed that they prefer a next-day (D+1) lead-time. Despite this 33%, up from 10% in 2014, would opt for a deferred (D+3) service which is cheaper than a D+1 service depending on the urgency of the item. Survey participants were asked if they would find a 5-day week, as opposed to the current 6-day week, acceptable. 60% of respondents replied in the positive. Of those who did not find a 5-day schedule acceptable 81% indicated their willingness to pay for the maintenance of a 6-day schedule. At 83% the majority of respondents made use of MaltaPost’s website, with 24% of users visiting the website every week. When asked why they visited the website the main reasons for doing so were to search for postcodes (48%), postal service prices (36%), tracking parcels and searching for product information (both 30%). Furthermore 61% of users are satisfied with MaltaPost’s website. 92% of respondents, up from 85% in 2014, claimed to have visited the post office in the 12 months preceding the survey. The majority of respondents visit the post office every week (59%), mainly to post letters, deposit bulk mail and buy stamps (all 65%). Satisfaction with post office opening hours has decreased to 35% from 55% in 2014. In the 12 months preceding the survey 20% of respondents claimed to have lodged a complaint. The reasons for doing so were related to delays, mis-delivery and registered mail. As regulator for postal services the Malta Communications Authority carries out research on a regular basis. This survey, part of a series of surveys examining household and business use of postal services, is intended to assess the extent of bulk mailers’ satisfaction with the services provided by MaltaPost, as well as to monitor a number of aspects related to postal services (such as price levels, quality and access). The aim of this research is to guide the Authority’s decisions, the effects of which are felt by consumers and businesses alike, by providing an additional source of information for such decisions.